This stunning custom home located on a private cul-de-sac sits on nearly one acre in the sought-after Circle G at Highlands neighborhood. 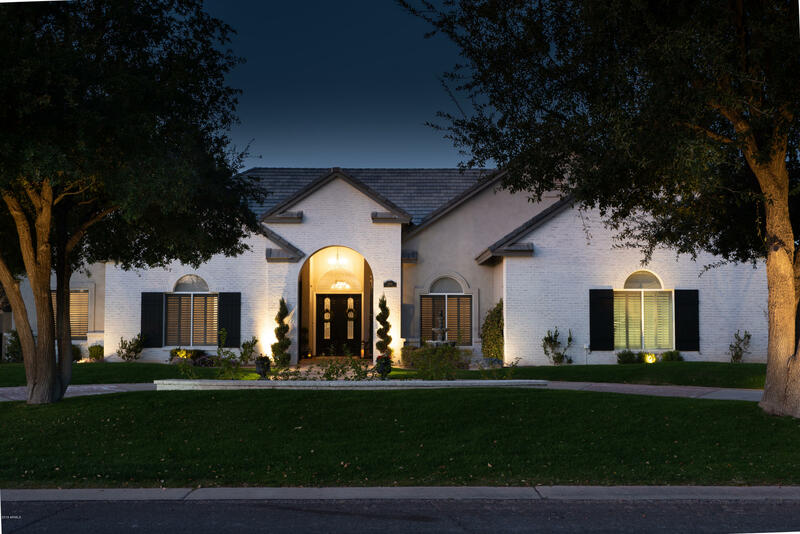 Renovated in 2017, the home was taken all the way down to studs and concrete, then completely remodeled by award winning Luster Custom Homes. Superior construction materials & Luxurious finishes including: Hardwood floors, Marble counters, polished nickel hardware & lighting fixtures, 2 fireplaces, coffered ceiling detail, beautiful trim work & more! Gourmet Kitchen features High-End Wolf and Subzero Appliances, Bosch Dishwasher, Marble counters, huge island with extra storage, custom-built double stacked cabinetry with glass inlays and a spacious walk-in pantry that includes an additional Subzero refrigerator. 5 Beds, 5.5 Baths, Den, Study, Mud Closet 5 car garage plus RV parking with plenty of space to store all of your toys! Spacious Master suite offers a large Spa-like shower, claw foot tub & his and her walk-in closets! The resort-inspired backyard boasts a spectacular pool with water feature & spa, fireplace, outdoor kitchen and ample patio & entertaining space for everyone to enjoy! You must see this property to believe all it has to offer! What I love about this home: 4 new AC systems including one in garage, new water heaters, new furnace, new soft-water system, Insta-hot/RO system, dance/workout studio (bonus space, mother-in-law suite), polished nickel Ashley Norton and Brizo fixtures, 12 foot ceilings, new interior/exterior paint, new 30 year roof, etc. It's a "new" house!